Does anyone recognize this artist from Sao Paulo circa 1968? 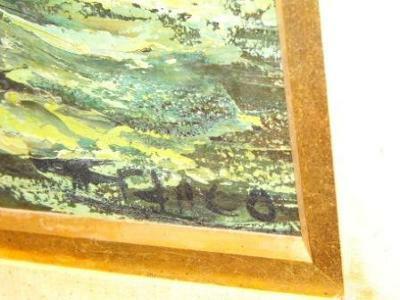 The plaque on front of the painting says the artist is E.H. Franca, however it is signed "FLACO". Thank you.